As part of a huge Golden Boy promoted card this Saturday night in Indio California, Charles Huerta will step back into the ring to take on JoJo Diaz in a battle not only for Southern California bragging rights but with a win it’s a huge step in the right direction for a world title fight in 2019. For Huerta this fight could be the most important of his career for so many reasons. First, Huerta is coming off not one but two pretty serious injuries that have kept him on the shelf for 17 months. Second, a victory over a fighter like Diaz would surely launch him into title contention. Those who have followed Huerta’s career know Charles has earned everything the hard way; he has taken no shortcuts on his path and anytime he was counted out Huerta has always found a way to prove the critics wrong and has remained a viable contender in the featherweight ranks. Unlike Huerta, JoJo’s career has been a bit more along the lines of being fed with a silver spoon. His flashy hands and charming smile are a promoters dream and he always seemed to get a bit more of the spotlight because of that. Take nothing away from Diaz though; he put together 27 victories before suffering his first loss to Champion Gary Russell. The cross town rivalry has a lot of intrigue. This is a fight that may end up stealing the show even though it is playing third fiddle to the two championship fights that will follow. Two championship bouts in the main event or not, it is very likely the bulk of the tickets will be purchased by local fans who will be there to cheer on their respective hometown fighters. “When I took the fight I thought JoJo and I would be the main event just because of the Southern California rivalry. Me and Jojo could sell the place out on our own. But once I heard Machado and Vargas were also on the card I realized this was a very big card to be a part of,” noted Huerta. As always Huerta has worked hard for this battle and his fans can rest assured he will give every ounce of himself inside the ring to earn the victory, just as he always does. There are really no shortcuts in boxing and to get to the top hard work is the essential trademark. Make no mistake about it, Charles Huerta is cut out of that mold. On Saturday night he is confident that his nose to the grindstone work ethic will get his hand raised in victory after the final bell rings. 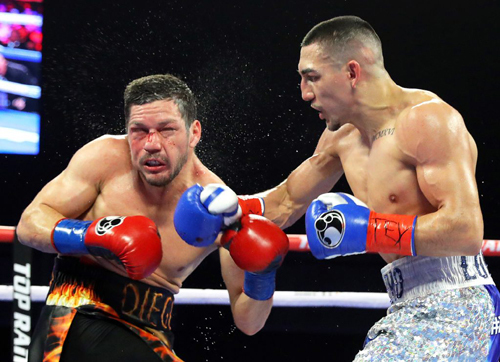 If you are one of the stubborn boxing fans who have not embraced the new era of boxing broadcasting and jumped into the stream of things you missed a very good night of boxing a la ESPN+. From the fights to the production quality this Top Ranked promoted card was a doozy. 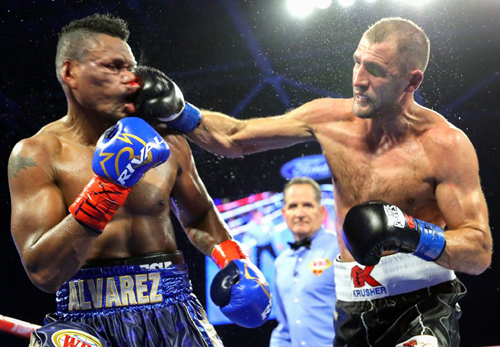 In the main event Sergey Kovalev got his chance for redemption as he faced the man who took his title last year, Eleider Alvarez. Most boxing experts didn’t give Kovalev much of a chance and the thinking was this could be his last hurrah. Little did anyone know or think that Kovalev could reinvent himself, with the help of Buddy McGirt, and pretty much pitch a shutout over a hapless Alvarez who seemed sluggish and tentative all night. But that is exactly what happened. 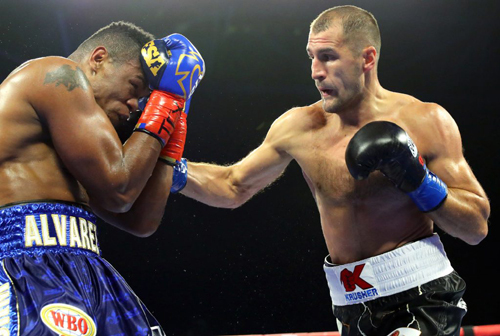 Kovalev fought a controlled and smart tactical fight over the course of the 12 round battle. He pressed the action all night but didn’t seem to be looking for his trademark Krusher KO. He stayed within himself and never seemed to lose focus. That being said, let’s take nothing away from Kovalev who had more than his share of distractions coming into this fight. Even the ESPN crew speculated before the fight that maybe Sergey was done. 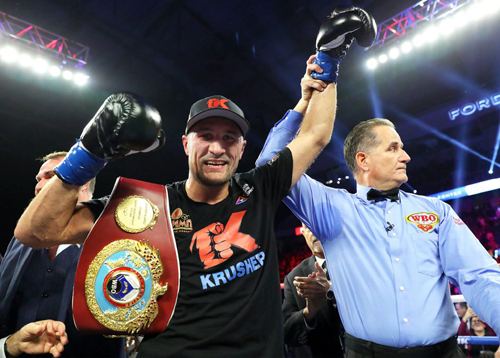 But after the fight was over the very same crew praised Kovalev for overcoming physical and mental adversity while reclaiming his place at the top of the Light Heavyweight division. 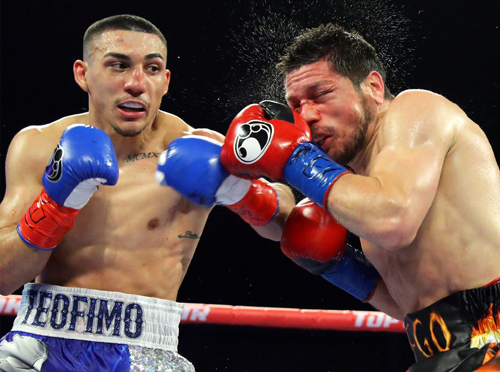 On the ESPN+ undercard Teofimo Lopez brutally beat down veteran Diego Magdaleno in a performance that may have caught a lot of attention but for all the wrong reasons. Yes, Lopez’s demolition of Magdaleno was eye opening but his act immediately after dropping his foe was appalling at best. To add insult to injury Teofimo stated he knows people are either going to love him or hate him, but he is going to do what he is going to do. Personally I think Lopez will become a villain in the eyes of most boxing fans. He is most likely going to put asses in the seats but that is because people are going to pay to see him get beat when he steps up against the big boys. As part of the ESPN show the network teased the fans with a cable broadcast of the big fight night in Frisco, Texas. No doubt the appetizer helped sell a few spots on the soon to be aired ESPN+ stream. 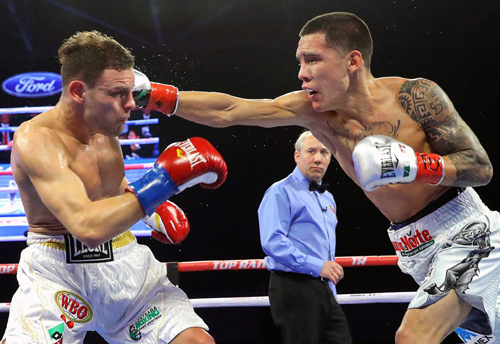 In the main event of that show the undefeated WBO Featherweight champion Oscar Valdez made his awaited return to the ring after suffering a broken jaw in his title defense over Scott Quigg. Valdez took to the ring against a tough and undefeated Carmine Tommasone. 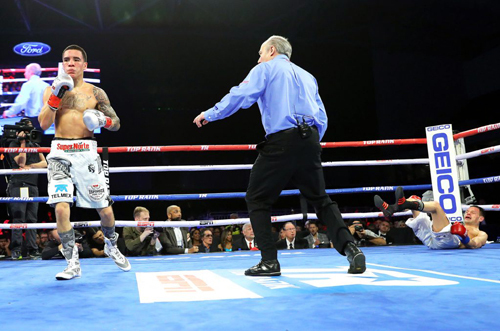 After shaking off some cobwebs Valdez made easy work of Tommsone and in impressive fashion he stopped the Italian fighter in the seventh round. For Valdez this was a great way for him to get past the broken jaw whoa’s and seal his spot as one of the best featherweights in boxing. 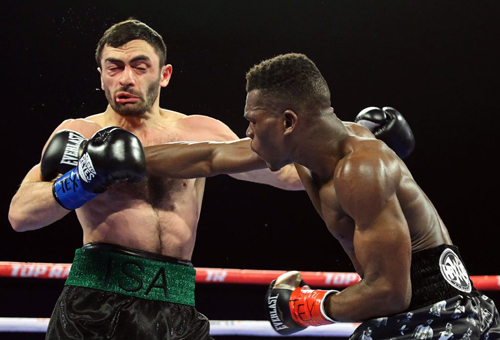 In the semi main the African fighter Richard Commey captured the vacant IBF World lightweight title with an exciting KO performance over Isa Chaniev. 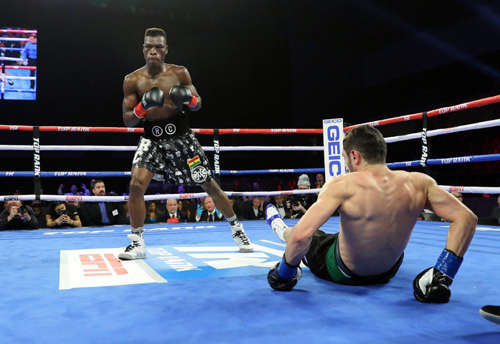 Commey caught the attention of many with the 2nd round KO victory and put himself in place to take on Vasiliy Lomachenko in a title unifier later this year in Los Angeles. Again, this was a very good night of boxing that is a prelude to what may very well be a great year for a sport that has been taking a beating over the past few years. Boxing is back. Once the mainstream boxing fans can latch onto the new era of broadcasting I predict the sport will have the resurgence we all have been waiting for.